Feeling creative and not sure what to do about it? Why not come along to the Craft Club and make some new friends as you make new things? Craft Club is run by the Church and is open to anyone regardless of ability. At their monthly meetings they make cards, arrange flowers, and try other crafts, often with the help of a visiting tutor. Sometimes they judge what they make although there are no prizes for winning… apart from the satisfaction of being ‘Best in Show’! 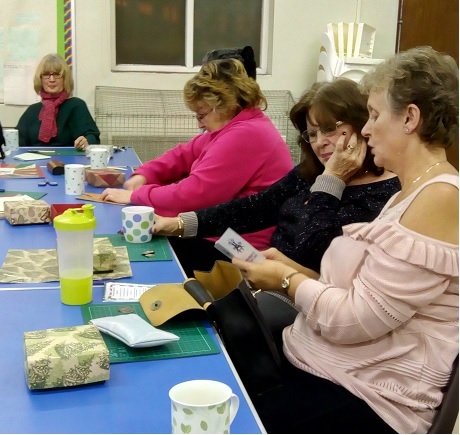 Craft Club is also about making friends and there is plenty of opportunity to chat while crafting and over the refreshments that are provided. Cost is £1 and this includes refreshments. If you want to know more then use the form below and someone will reply to you as soon as possible.